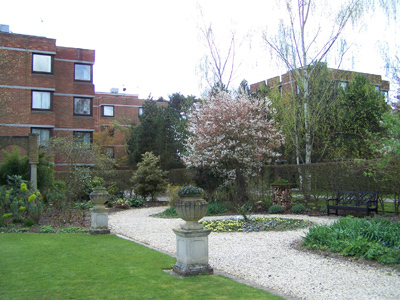 Hamilton is Writtle's newest hall of residence. It provides single ensuite accommodation for 50 students on two floors of a modern u-shaped development. The rooms are furnished to a high standard and the ensuite facilities include an enclosed shower unit. All rooms have free wireless internet access, safe and a TV aerial socket. Most bedrooms have a double bed. 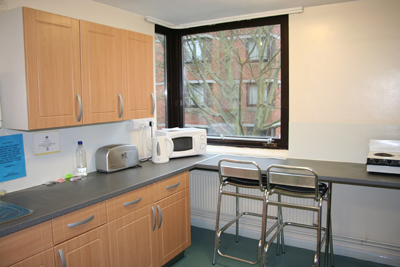 There are four common rooms well equipped with a hob, microwave & Combi microwave, fridge, freezer, toaster and kettle. 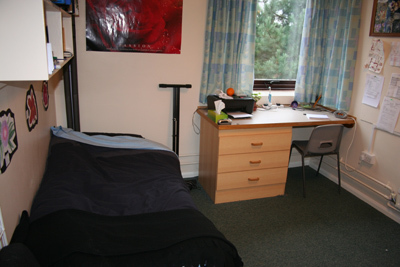 Three separate halls each house 17 students in single study bedrooms. All rooms have ensuite provision of toilet, washbasin and shower. There are television aerial sockets in each bedroom. 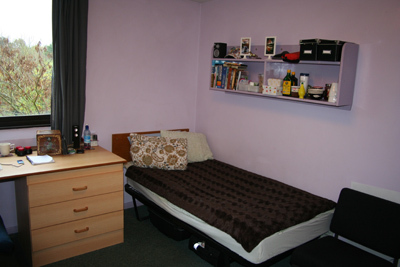 All rooms in Maddison have a safe and free wireless internet access. Most bedrooms have a single bed. 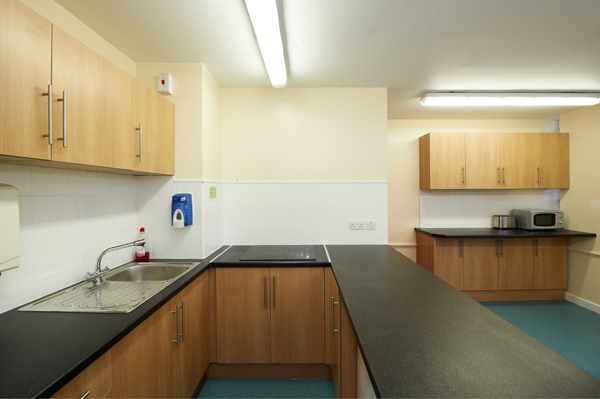 The kitchen is equipped with a hob, microwave & combi microwave, fridge, freezer, toaster, kettle, etc. 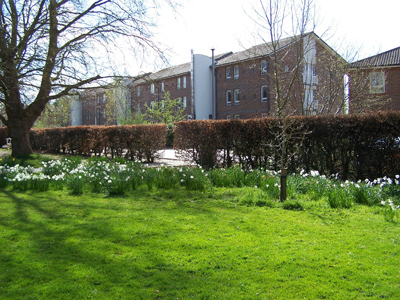 Maddison Halls prove popular with international and mature students and are generally designated as quieter halls. 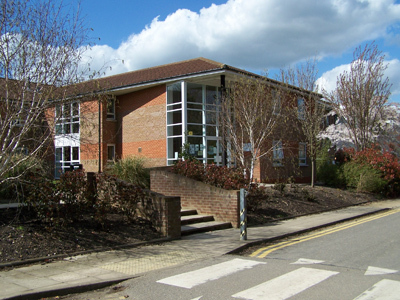 The three Harvey halls are four storey buildings located in the centre of the campus and accommodate 22 students each. All bedrooms have their own washbasin, single bed and are comfortably furnished. 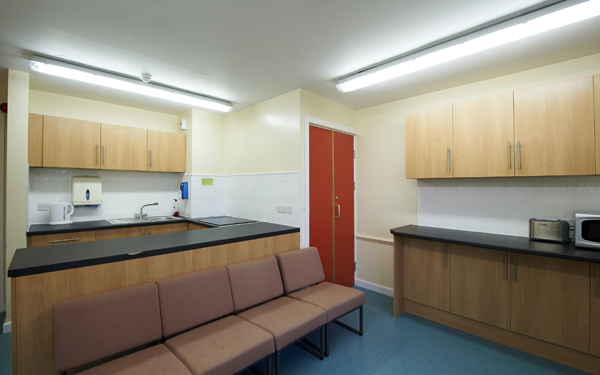 The upstairs rooms are arranged in groups of six, with two toilets, a shower and kitchen/common room. 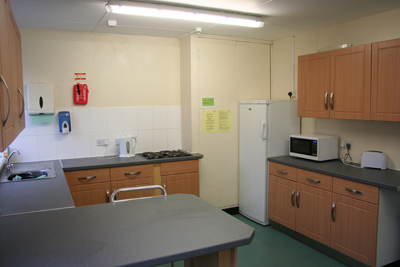 A hob, microwave & combi microwave, fridge, freezer, toaster and kettle are available in each common room. The laundry is located in Harvey 1. All bedrooms have a single bed, safe and free wireless internet access. 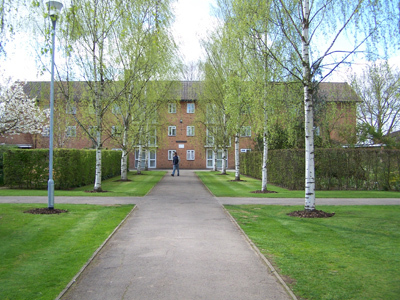 Tabor hall is a large modern building made up of three halls, two with single study bedrooms. Tabor 2 has extra-large rooms with double beds and extra storage. 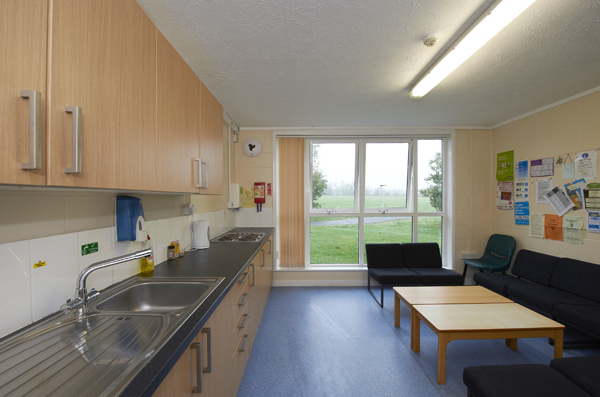 There are 117 places altogether and all rooms have the ensuite facilities of toilet, shower and washbasin. 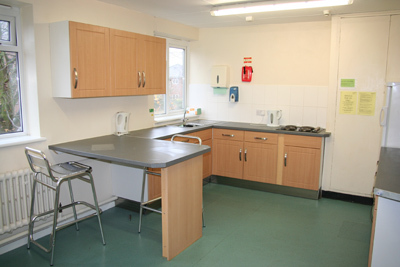 The rooms are comfortably furnished and the common rooms are equipped with a hob, microwave & combi microwave fridge, freezer, toaster and kettle. Every room has free wireless internet access and a safe. Strutt is a large three story hall with 46 rooms for single occupancy. 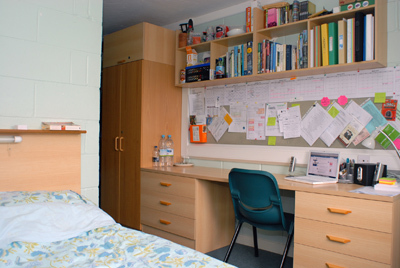 There is a mixture of smaller standard rooms with single beds and larger single rooms with double beds which are suitable for students who have a lot of equipment, e.g., drawing boards. Strutt rooms do not have their own wash basins but there are convenient wash rooms, showers, and toilets on each floor. 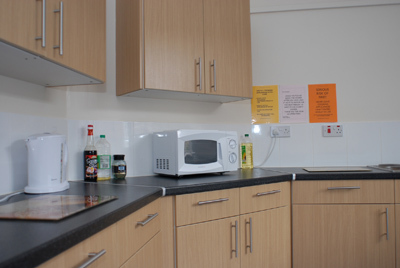 Kitchens and common rooms are equipped with a hob, microwave & combi microwave, fridge, freezer, toaster & kettle. All rooms have free wireless internet access and a safe. Dent has 41 single bedded rooms situated on two floors each with its own washbasin. 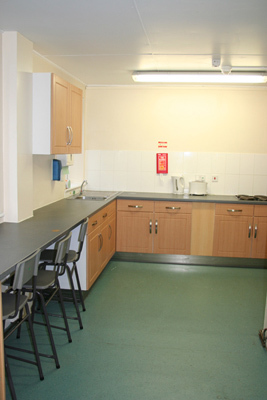 There are two kitchen/common rooms equipped with a hob, microwave & combi microwave, fridge, freezer, toaster and kettle. There are showers and toilet facilities on each floor. All rooms have free wireless internet access and a safe. 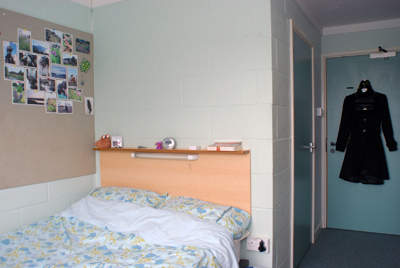 There are 37 single bedded rooms in Gill situated on two floors. The rooms do not have their own washbasins but there are washrooms, showers and toilets on each floor. 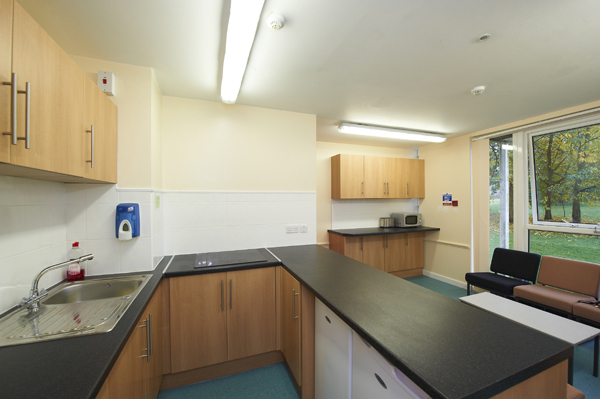 The kitchen/common rooms have a hob, microwave & combi microwave, fridge, freezer, toaster and kettle. All rooms have free wireless internet access and a safe. Thinking of bringing a TV to College? 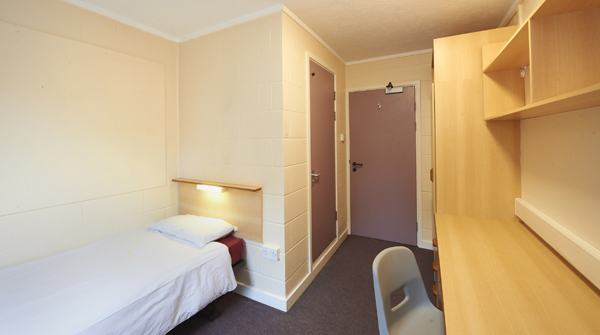 Not all halls have TV aerial sockets in the bedrooms and the TV signal is not always strong, therefore students may wish to wait until after they move in before deciding to bring a TV and buying a TV license. Students often prefer to watch TV via the Internet which is available in all halls at no extra cost. 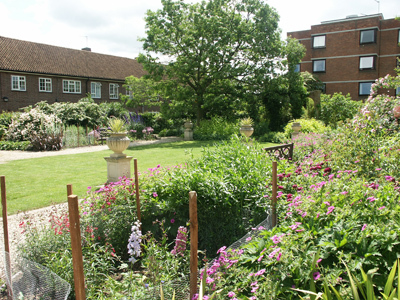 Students with disabilities receive priority consideration with regard to accommodation in halls. 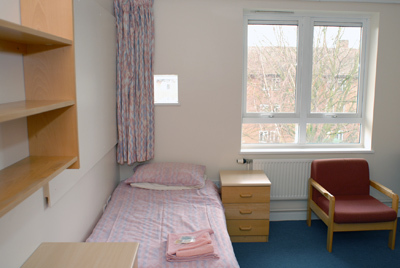 Some rooms have been designed to accommodate Students with mobility and hearing problems and special arrangements can be made for other disabilities. Applications are dealt with on an individual basis so please contact the Accommodation Office to discuss your requirements.